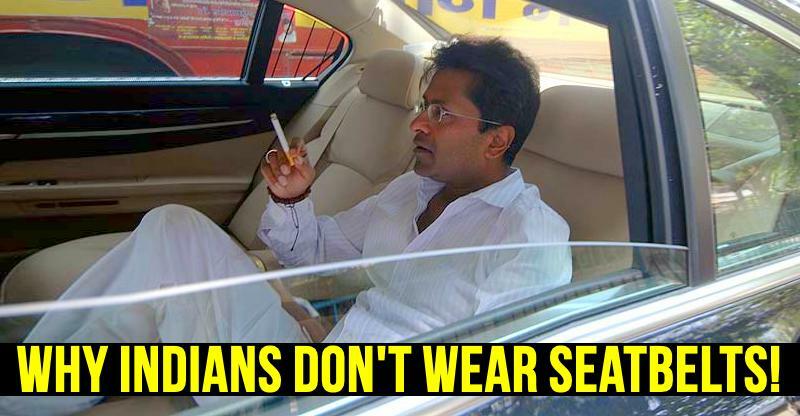 The Transport Department of Bihar is cracking down heavily on car and SUV drivers who don’t wear seatbelts. While the first offense will attract a monetary fine, subsequent offences will see the transport department cancelling driving licenses of the offenders. This stringent punishment for not wearing a seat belt is meant to deter people from committing repeat traffic offences. The seat belt is a critical safety feature. When worn correctly, the seat belt ensures that the occupants of the car remain firmly held in the seat during an accident. This prevents the occupants of the car from being thrown around violently inside the car, or outside the car, during an accident. The violation of the provisions of Rule 138 (3) which talks about norms for wearing seat belts is an offence punishable under Section 177 of the Motor Vehicles Act, 1988, with a fine of Rs 100 for the first offence and up to Rs 300 for the second and subsequent offences. In case the offence is repeated, the licence would be cancelled. Once people start following the rule, the number of casualties will go down because like helmets, seat belts, too, save the lives of persons driving the car. It would be checked that apart from the person in the driver’s seat, the person on the front seat must also wear the belt. By law, the driver of a car or SUV, and the front passenger, has to wear a seat belt while driving. Other passengers are not required to wear seat belts by law although it’s highly advisable that all passengers of the car wear seat belts. Just to comply with the law, many drivers are seen wearing seat belts just ahead of police check points. Such drivers remove the seat belt citing that it’s uncomfortable after passing police check points. This is a very dangerous practice as without a seat belt, other safety features of the car such as airbags may not perform their job well. There have been numerous instances of seat belts saving the lives of occupants of a car during accidents. At the same time, many lives have been lost due to passengers not wearing seat belts. So, make it a practice to wear a seat belt each time you get into a car. It could save your life someday.